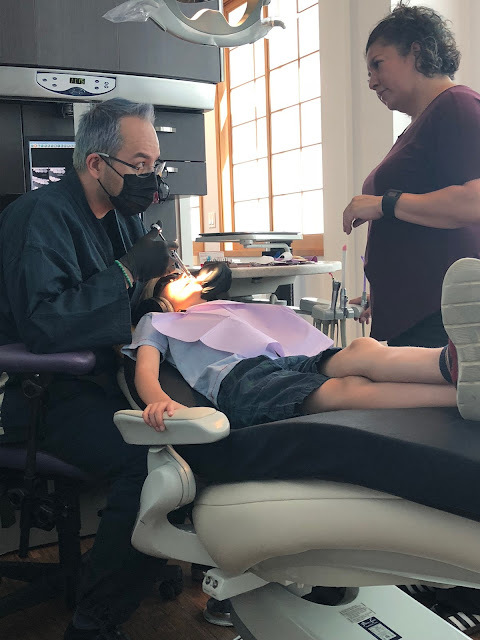 Back at the end of May, right after Gwen got out of school, we took her in for an evaluation of her teeth by an orthodontist. She had two adult teeth come in behind her baby teeth, her "shark teeth", and two more were starting to come in that way. We knew we'd have to get them removed, but our dentist suggested an ortho eval so we could figure out if we'd need anything else done. 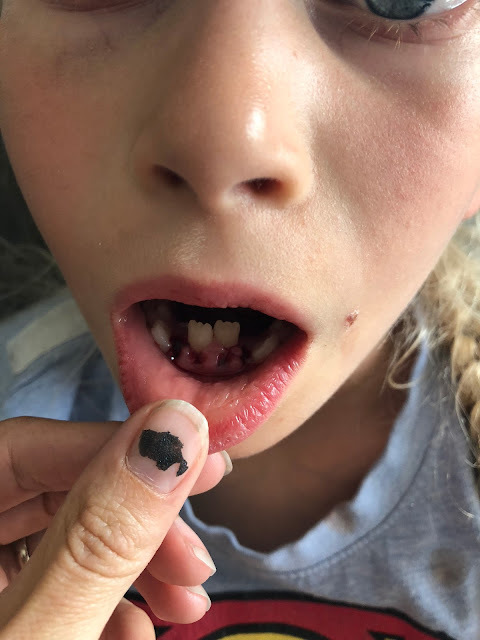 Thankfully he said that he thought if she got those baby teeth out, her adult teeth would move forward just fine. 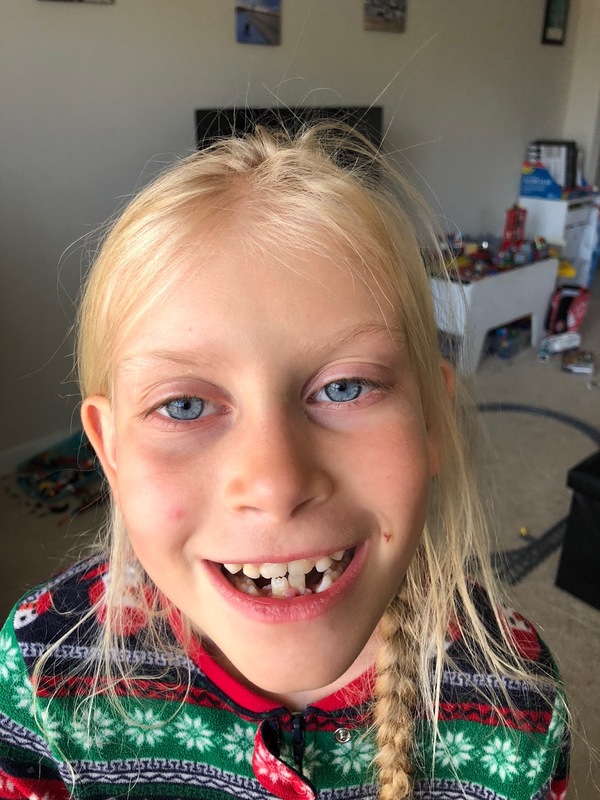 So we scheduled to have them out and get a little filling done in one of her other baby teeth that would be sticking around for a while. I'm a bit of a nervous-nelly when it comes to the dentist, but I've always tried to play it off with Gwen, but I didn't want to give her my nerves. 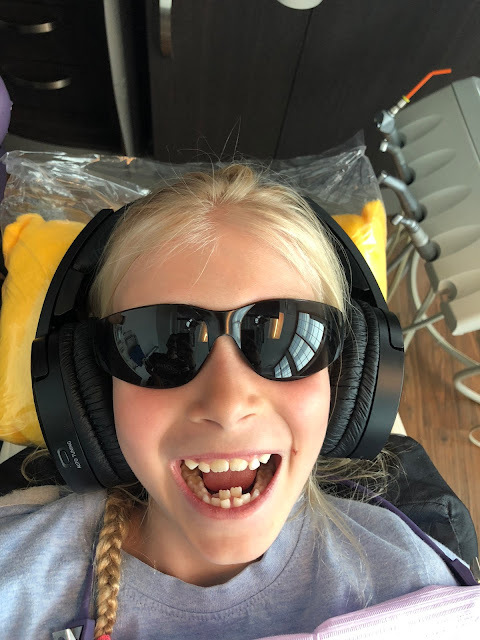 Thankfully she seems nonplussed by the dentist, and wasn't too concerned beforehand. She was definitely sore afterwards for a few days, but she came through wonderfully! Now we just remind her to push on her adult teeth with her tongue and have them work their way up. And fingers crossed for no more shark teeth! !